When you’re preparing for a presentation, follow the basic rules of PowerPoint. If your company has its own brand guideline, that’s even better. You just have to ensure that the presentation deck follows it. Saves a lot of time that way! But for those who don’t have one, this article will help you when you want to speed things up, to give you just the right presentation for your clients. Have the tools ready: First and foremost, the key to faster fine-tuning is easier accessibility of frequently used tools. Pin the tools to your Quick Access toolbar. Keep them handy. So, you don’t have to look around when you need a quick polishing of the shapes in a slide. For example, if you want to crop a picture, you don’t have to go to picture tab then select the crop tool. You can simply pick any tool directly from the quick access tool bar and apply it on the slides. Follow the faster process and add tools to the quick access toolbar. Below is the example of some frequently used tools added to the quick access toolbar. You can have as many tools in the quick access toolbar to ease your way into these common and simple tasks on PowerPoint. Fonts: Use a good font, like Arial as opposed to Times New Roman - it’s easier to read on screen and will speed up your fine-tuning process. 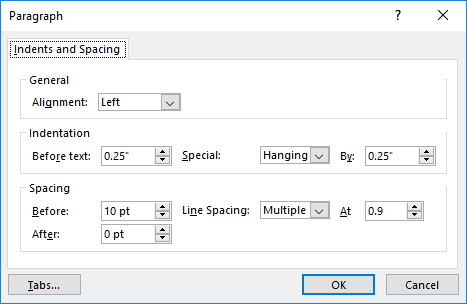 Use fewer types font all through the PPT to make your own viewing of it easier. Other types of fonts which are commonly used in presentations these days are the Sans-Serif fonts like Calibri, Arial and Verdana. Another commonly used Serif font favoured by designers is Georgia. Colors: Time and again, we keep hearing that colors play an important role in presentations. You go wrong in picking right colors, your whole presentation will end up being a mess. Play it safe, go with brand colors and do not mix them up with default colors. Did you know that choosing the right colors for your presentation, can make or break a deal for you? Alignment: Aligning shapes in your slides is another quick way to polish your presentation. If there are multiple shapes in a slide, make sure (i) to align, maybe aligning them top, bottom or just the way you want and (ii) distribute them equally either horizontal or vertical. Usage of SmartArt: If there is a need for a diagram or a flow chart, you can simply insert SmartArt graphics from the insert tab and choose the graphic that best fits your need. But do beware…we do not recommend you do this often. Not a professional practice to use SmartArt in your presentation. Usage of Images: If there is a need for inserting images in a slide, make sure to keep it simple. Pick up images that align with the content to make it look visually appealing. An image, as we all know it, speaks a thousand words. But…it is also essential know to how to pick the right image for your presentations to convey the right message. Transition in slides: One faster step where we can make the slide look good and effective is through simple transition that you can apply to the slides. To apply transition, go to Transitions tab and choose any transition which suits the slides. So, when you are running out of time, rushing to a meeting, do not worry. You don’t need to be a designer to make your slides visually appealing. These quick ways will be of help to you anytime.